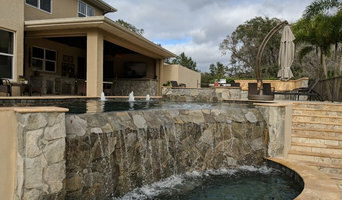 With over 20 years in the industry, Siesta Pools is a quality pool builder servicing the Sarasota and Manatee County areas. We specialize in both new construction and renovations. Contact Siesta Pools to discuss your dream pool! A pool contractor in Sarasota, Swim Incorporated, has been a state certified contractor since 1983. We have a residential license, a commercial license, and a national credential as a Certified Building Professional by the Association of Pool & Spa Professionals. 2008 Aurora Award. 2011 International Awards of Excellence. We are a full-service pool construction company, locally family owned and operated in Sarasota since 2002. All of our technicians are state certified and we are a nationally certified operator of aquatic facilities by the NATIONAL SWIMMING POOL FOUNDATION. We have over 30 years of pool service and maintenance experience. From the day we first opened, we’ve based our business on the core goal of being the #1 service provider in the pool service & construction industry. Our guarantee: we are not satisfied until you’re satisfied. We stand by our work and the quality of our service, and are a warranty station for the industry’s leading pool product manufacturers. Lagasse Design Center can completely remodel and renovate your existing pool, from the pool’s surface, to coping, to additions of fountains and spa areas, to new tile and paver decks. Prices start as low as $3000 to make your old, tired pool like new again! No job is too big or too small, too simple or too complex. We do the impossible, and we get it done on schedule!